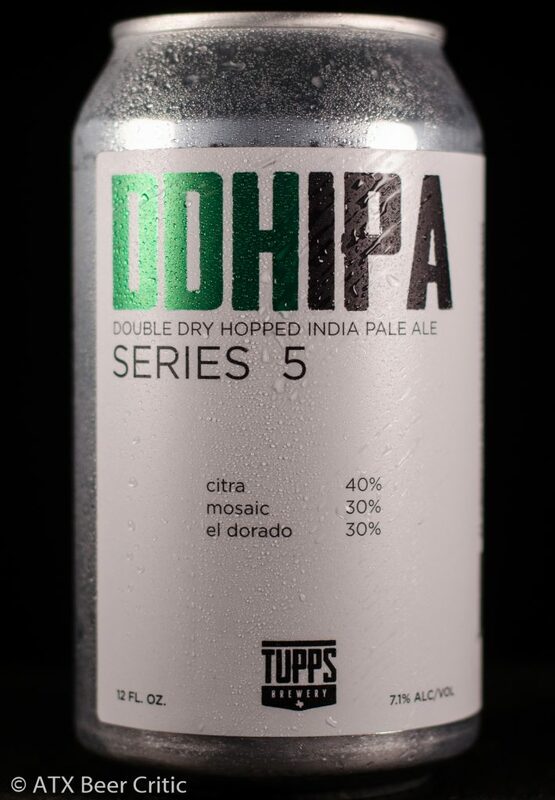 India Pale Ale brewed with Citra, Mosaic and El Dorado Hops. Bursting with tropical aromas, this IPA is loaded with citrus and fruit-forward hops. Orange citrus, and pineapple hits the nose first at a high level. This is joined with a medium floral note. There’s a lower level of pine present, and almost a non-existent vegetal/grassy aroma. A touch of honey sweetness with a low doughy wheat character. No noticeable alcohol or fermentation off-flavors. Liquid pours a vibrant straw yellow. Fine and micro bubbles compose a thin stark white head. Falls with below average retention, but laces the side of the glass nicely. No clarity, with a thick, opaque haze. A citrus bomb hits the tongue with a blast of orange and tangerine at high intensity. This is followed by some floral and grassy character at a medium level. A sweet honey-like malt character with wheat doughiness rounds out the mid taste. A low bitterness presents at the finish. The flavors clean off the palate quickly, except for the citrus and a slight sweetness that lingers. Medium carbonation which seems to prickle the front of the mouth. Medium-high body which lasts throughout the taste. No noticeable astringency. Slight warming in the back of the mouth. A tasty representation of a New England IPA. The hop aroma and flavor take the stage, with a low bitterness and full mouthfeel rounding out the beer. There really aren’t any faults to improve on here. In my opinion I would like to see a bit more depth to the hop character. The citrus element overpowers the other notes, leaving them as wisps in the background. Have a little more intensity to match on a flora, pine, or resin note would really help the beer’s complexity. I enjoyed this Series 5 a lot more than the Series 3, previously reviewed. The astringency seen in the last batch is gone, and the bitterness is more in check with the style. I really appreciate the label information on which hops were used and their ratios. 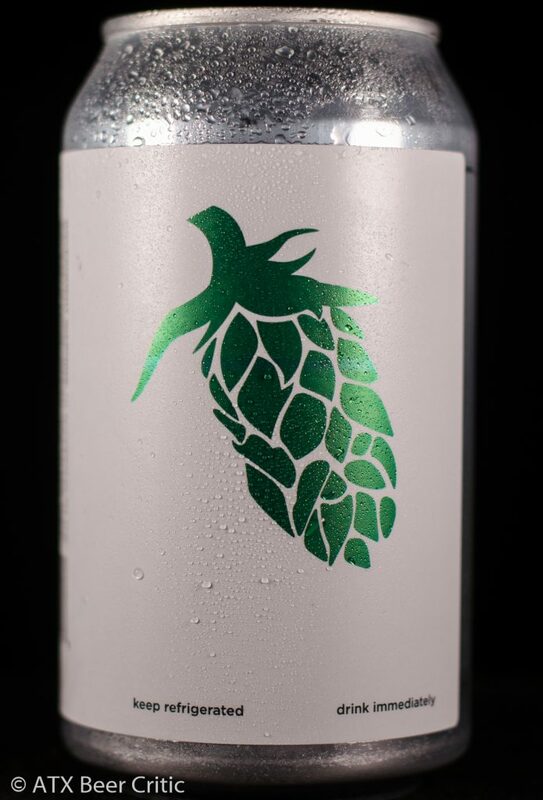 Some breweries can be pretty cryptic about recipe hops in their rotating IPAs series. 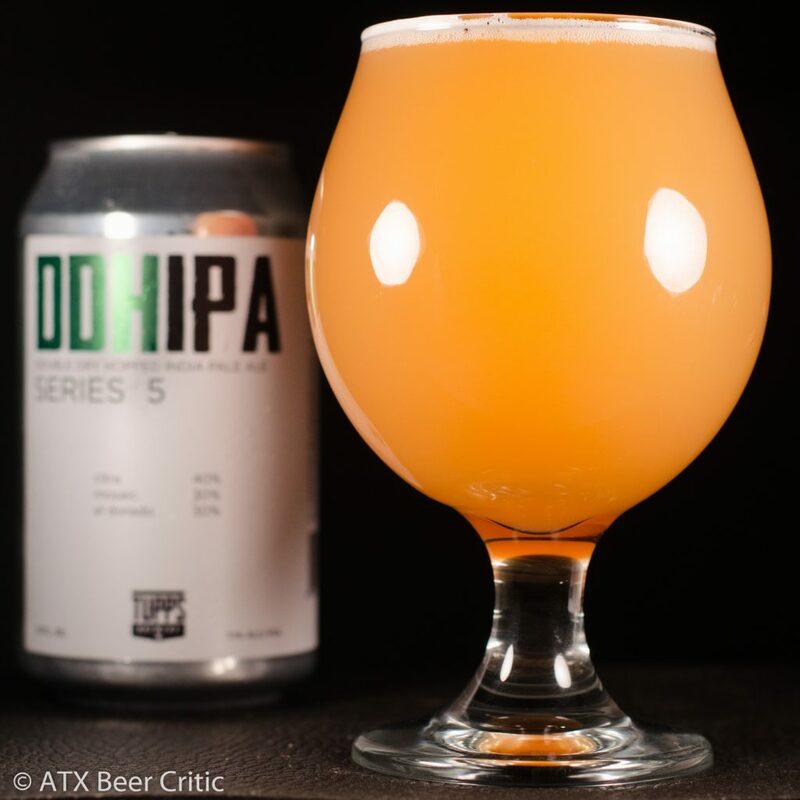 This DDHIPA series is available in cans and draft regularly throughout Austin now.